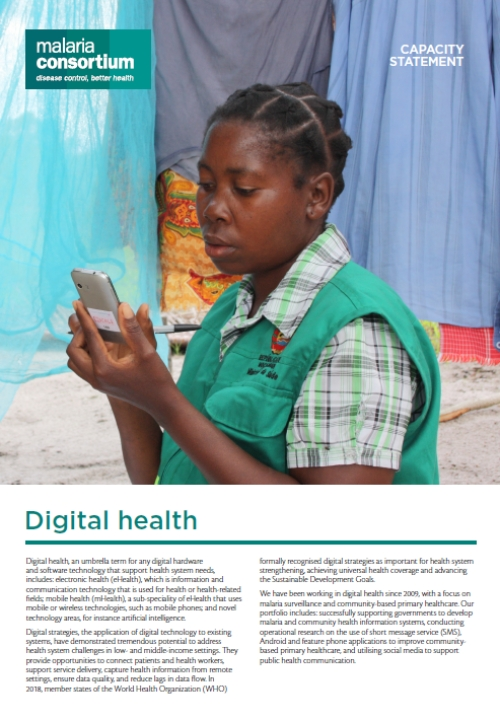 This capacity statement outlines our expertise in digital health, and highlights examples from projects and research we have implemented across Africa and Asia. Broadly, we provide technical advice to governments on the implementation of digital health strategies and conduct operational research to build the evidence base for digital health development. In 2018, we endorsed the Principles for Digital Development, aligning our work with the wider digital development community. We strive to implement these nine principles in all our digital solutions, and are actively involved in several digital health fora via which we contribute to the creation of common goods that support the implementation of digital health.